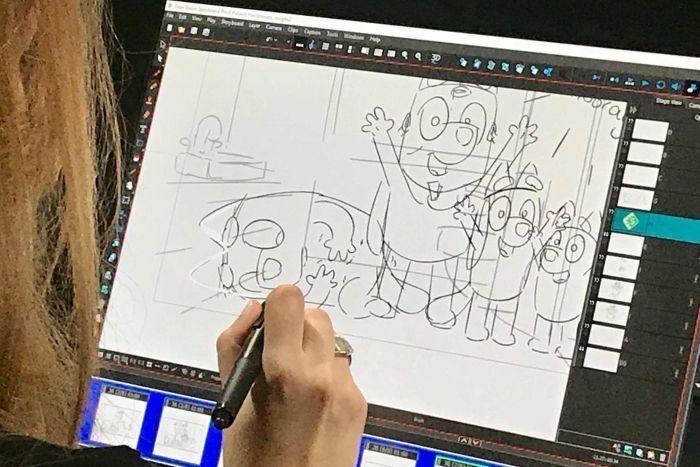 The producers of Bluey, one of Australia’s most popular children’s cartoons, have refused to requests to replace the Australian accents for overseas markets. “That was a conversation — will it be dubbed to UK or US accents?” said Daley Pearson, the show’s executive producer and the director of Ludo Studio. “We sort of put our foot down and said, we want to keep our Australian accents in there. “I don’t know if it would make much sense, either, an American accent next to a Queenslander and a CityCat. 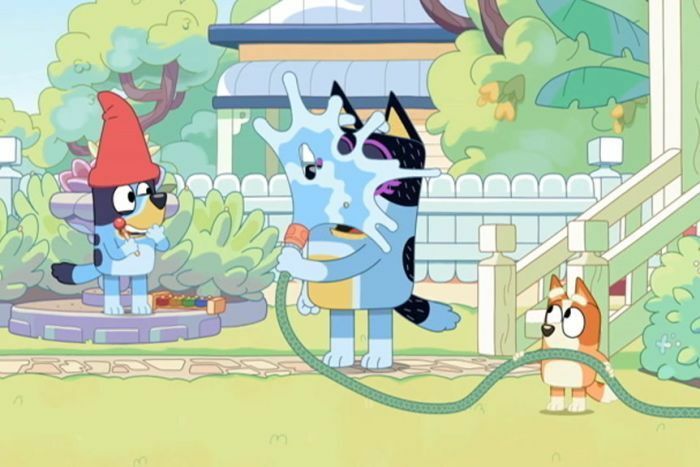 Bluey follows the adventures of a family of blue heelers, comprising two working parents and their two daughters, in a setting with obvious references to Brisbane, where the show’s creator, Joe Brumm, lives. Launched only last October, Bluey has already been downloaded more than 23 million times — the highest figure ever for any ABC TV show. “I had no idea it was going to blow up the way it has,” said actor Melanie Zanetti, the voice of the mum. Ludo Studio co-founder Charlie Aspinwall said parents could easily relate to the Bluey characters. “I think the show is about the joy of childhood, and it reminds parents of why they had kids in the first place,” he said. “It’s so true to life,” Zanetti said. For many kids, the magic of Bluey lies in its humour. 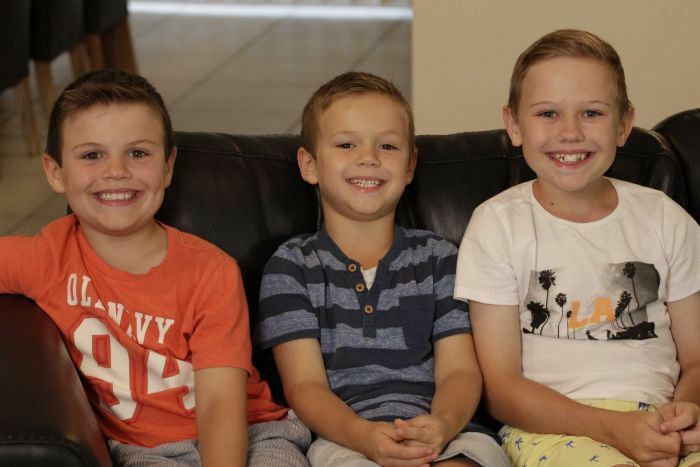 Riley Zinghini and his brothers, William and Hunter, are huge fans. “It’s hilarious,” 11-year-old Riley said. Like Seinfeld, famously “the show about nothing”, the creators initially had trouble explaining the concept. “Pitching it in the beginning was hard,” Pearson said. “Because it’s not a show about a meteor coming at the earth, or it’s not a show about kids who go out with lasers. Bluey is currently signed up with the BBC, and Ludo Studio is in the process of choosing an international partner. “It could be someone like Nickelodeon or Disney or hopefully someone big like that,” Pearson said. “We’ve been across to London, the US and Cannes trying to get this show and get someone to pick it up. “We hope people will like it, but we don’t know how people will respond to it overseas, particularly because we fought hard to retain the Australian accents.